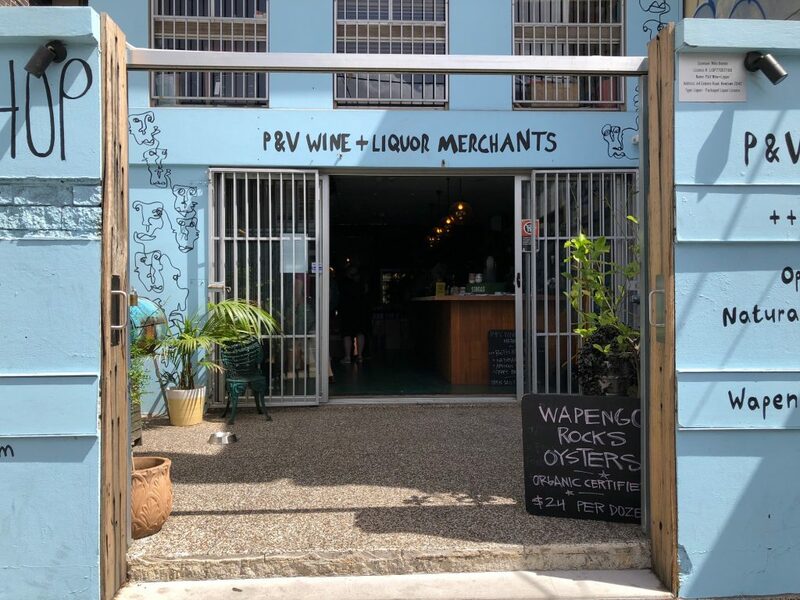 The alternative and natural wine scene in Australia is not just for cool cat hipsters, it’s good news for the country’s overall wine industry. Not in terms of the overall sales, share of the total market and putting money in the bank. Far from it. But in terms of how the drive to make wines that are as true to the place they come from, with as little intervention from the winemaker as possible, using different grape varieties that are more suited to the hot, harsh or cool climate growing conditions where they are made and then drunk. 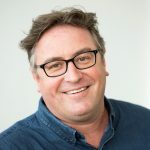 That’s the view of leading Australian wine writer, critic and wine merchant, Mike Bennie as he helps set the scene for the key trends driving the Australian wine sector and what we can increasingly expect to see in the coming years in the UK. In the first of a series of reports from Australia, Richard Siddle, reflects on an introductory tour of Sydney and Australian wine through the eyes of local writer, critic and wine judge, Mike Bennie. You only have to watch five minutes of any major national TV news programme to realise when it comes to getting expert opinion journalists like to ask other journalists what they think. The logic makes a lot of sense. After all they are professionally trained to be independent observers and reporters of the stories and issues they are covering. So who better to give you the “take” on what’s really happening behind the scenes. 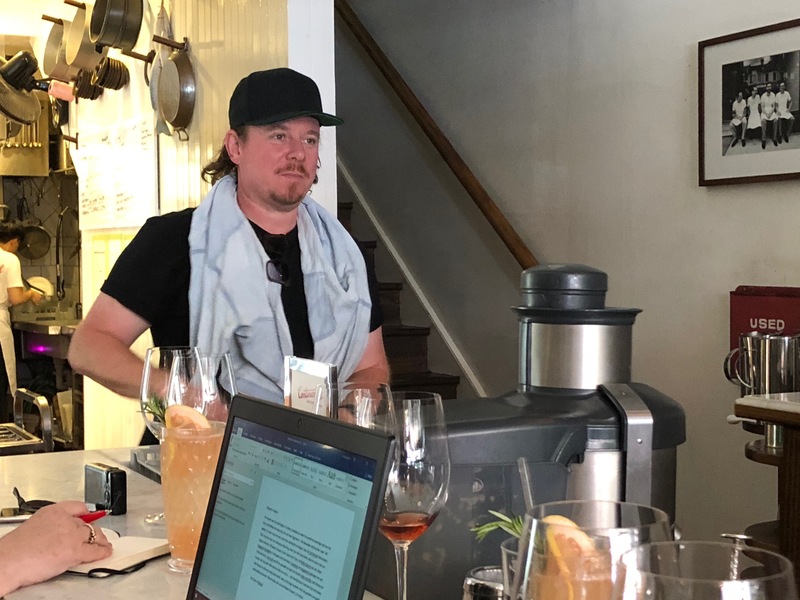 Which made Australian wine writer Mike Bennie the perfect guide to introduce the visiting press corps of journalists from across northern Europe to the latest trends influencing and driving the current Australian wine scene. Not that you can just define Mike Bennie as a wine writer. 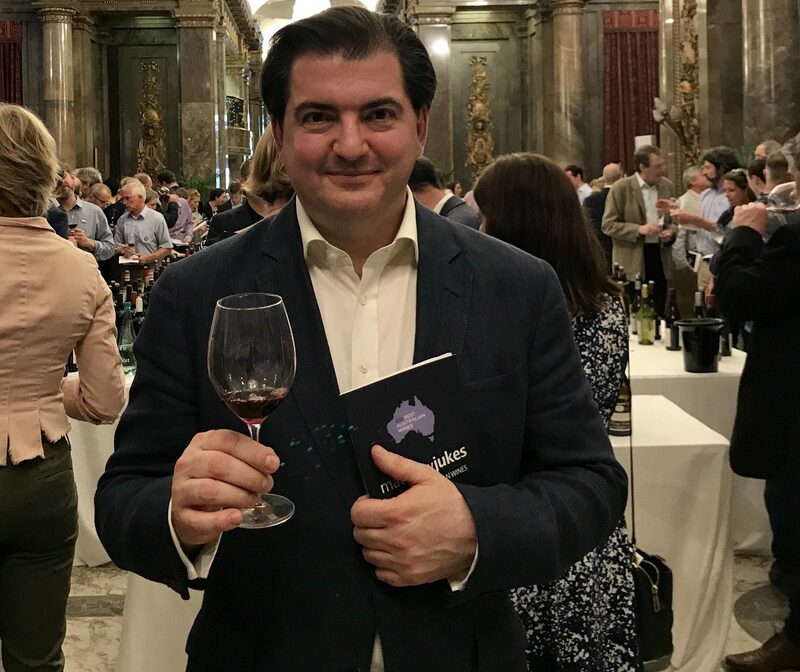 He’s more like a one man wine dynamo that’s a compelling combination of writer, wine critic, judge, independent wine merchant and winemaker – did I miss anything? Now whilst his own shop, P&V Wine & Liquor, in the uber cool Newtown district of Sydney, is a treasure trove of the unfiltered, untampered and pet nat styles being made in Australia, his wine radar is all encompassing, able to assess and analyse big, commercial, volume-driven Australia and put the alternative wine scene in context with that. For him a key driving factor in what has been happening in the Australian wine sector in recent years has been an industry that has woken up to the idea of making wine that is in tune with the country it is making it in. So instead of chasing the palate of Robert Parker and trying to make the big, all powerful, wood-matured, fruit bombs that were winning plaudits in the US, UK and and Asia, it would tone everything down and look to make wines suitable for drinking in a country that is hot, or at least warm, for nine or 10 months of the year. “It was in the 1990’s, largely because of the Parker factor and Grange scoring 100 points, that we started producing the rich, lavish, new oak, over ripe wine,” says Bennie. 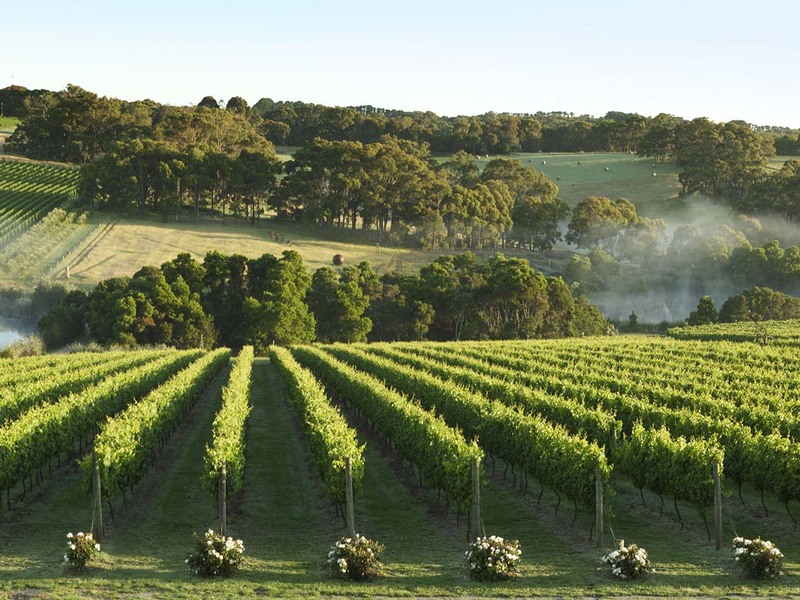 Wines that eventually lost their way in overseas markets and created what he says soon became a “homogenised view” of what wines Australia could produce. The last 10 years, he adds, has seen Australia rediscover what it is trying to do – and what is most suitable for Australia’s climate. So whilst the natural wine sector might have “a very loud voice” for the size of its market, it has had an enormously influential impact on the mentality of the overall industry. 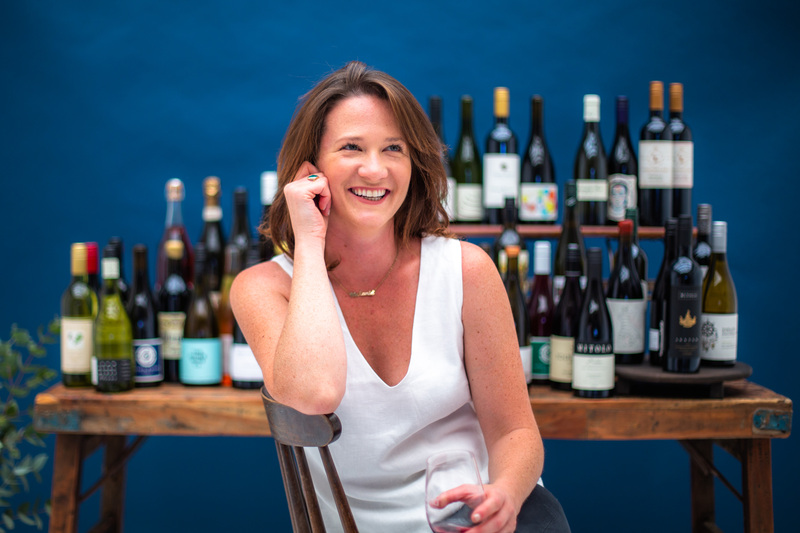 It’s been a key factor, claims Bennie, why alternative wines, the pet nat styles, the light fizzy reds from the Barossa, where there is limited winemaker influence, and it is all about what you don’t put in the wine, are becoming so much more popular. It’s not just because hipsters think they’re cool, they just taste better staring at the sea when temperatures are over 30 degrees C.
“They have helped refocus the gaze on Australia and what it is about,” he says. 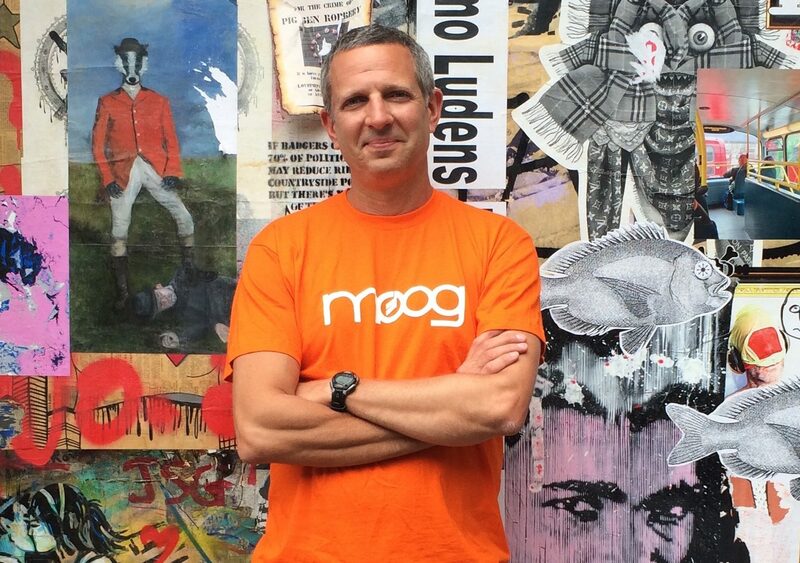 “They are helping to change the conversation here about wine. Australia is about drinking and eating outdoors, down by the sea, having picnics. We eat a lot of seafood, have a big Asian influence, where ginger, garlic and chill are in every home’s pantry. There is also a big Italian and Mediterranean influence. All of which means the big rich, fuller flavoured wines just don’t fit into what Australia is all about. It’s why, he adds, there is not a serious fine dining, Michelin restaurant in the country that does not have a large natural wine selection. 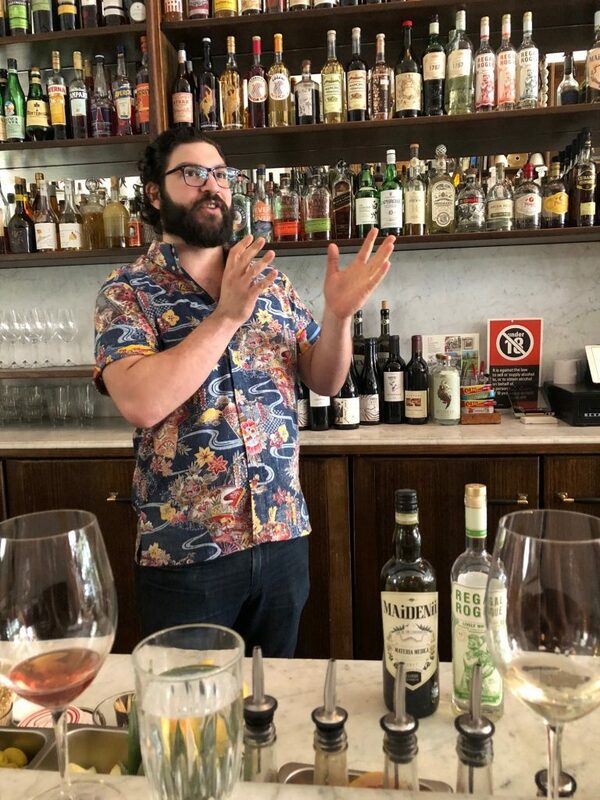 Sam Leyshon of Mallaluka Wines in Canberra agrees and says the “loud voice” that the natural wine movement in Australia has, in some ways, “saved Australian wine” in that it has brought new winemakers into the sector and also appealed to a whole new audience. “It’s certainly helped with the re-invention of Australian wine,” he says. As a result wine has overtaken beer as the number one alcoholic drink in Australia for the first time in years, he adds. It’s not just in wine, says Bennie. Look at what is happening in cocktail bars where spritzers and light vermouths are booming. Or down the local craft brewery where it’s the refreshing, ‘sessionable’ pilsners and lagers that are the best sellers and not the big hoppy, powerful, full flavoured, fruit beers. That could be with your Aussie botanical gin, or Hunter Semillon vermouth, or an unfiltered Vermentino from the Clare Valley. When he first came to Australia he knew of one vermouth producer. Now there are 40. The number of local craft distillers has gone from 40 to 400. 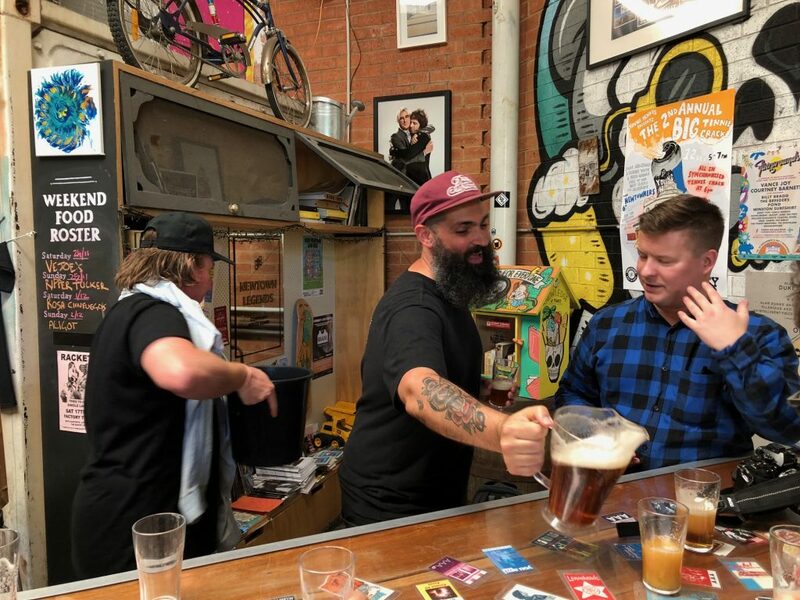 There are 14 craft brewers just in the hip Sydney Newtown area. In the same way that Australian wine producers want to celebrate and promote the uniqueness of where they are from, the distillers are all about using local ingredients and botanicals that make them authentically Australian, as do local craft breweries like Young Henry’s craft brewery, also in Sydney’s Newton district. Aussies are increasingly snacking on avocado on toast and want lighter, healthier choices at all times of the day and week. The Seedlip phenomenon is Down Under and alive and kicking. Bennie says the boom in natural and alternative winemaking has also encouraged him to go back to some of the oldest, most traditional, classic Australian wine producers and families and discover the wines they used to make using the same scaled back wine practices of the new alternative winemakers. Like Tyrrell’s. It did not start life using stainless steel tanks and perfect temperature controlled fermentation systems. No, it, was making unfiltered wines and using open top ferments and foudres. “These are the historical touchpoints we have in Australia,” says Bennie. Producers such as Maurice O’Shea at Mount Pleasant or Tom Shobbrook at Shobbrook Wines. True pioneers and legends of Australian wine, says Bennie. O’Shea, he adds, was using open ferments in the 1930’s and 1940’s and producing wine at 11% to 13% alcohol. Wines that have lasted over 70 years. “These are our touch points to the past,” he says. Whilst Bennie is in awe of the level of academic and scientific study into wine and winemaking in Australia, which he claims is arguably amongst the best in the world, it has also meant the country had “lost” some of this traditional, even dirtier styles of winemaking, in search for fault free, clean, safe, consistent winemaking. This mix of new winemakers learning from the past means Australia is also seeing different styles of classic varietals, such as Chardonnay, that are now in a new sweet spot – a “middleground if you like – that have elements of the new stripped back, acid style and the bigger, heavier mouth feel of the recent past. “Chardonnays that reflect that year’s harvest and are not just a house style,” says Bennie. It’s that combination of the new and the old and the younger generation learning from the experiences of the past to help make better wines for the future is what has given Bennie a new spring in his step and one that has been fascinating and inspiring to hear and now share. * Richard Siddle is currently travelling around Australia visiting many of its key wine regions on a trip with Wine Australia.